We are now on a yearly schedule for my daughter’s cardiologist. Yesterday was a good, if long (3 hours) appointment. The cardiologist and his staff were amused that my daughter brought her own pillow to the examination–they said that was the first time they had seen that in 20 years of practice. We found out that valve replacement via catheter is now approved in the U.S. and I can only imagine how far the technology will go in the next 6-10 years. I know I am so very lucky. Still, the yearly recitation of the heart conditions on both sides of the family just became tragically longer this summer when my father-in-law, a good man and a loving grandfather, passed suddenly and unexpectedly. And now that my daughter is four, her questions have become a lot more in-depth and probing and difficult to answer honestly, yet reassuringly and on an age-appropriate level. Why doesn’t brother have to go to this doctor? Why doesn’t he have a boo boo on his heart? Why do I have a boo boo on my heart? If they fixed the boo boo on my heart, why do they need to keep checking it? What if it doesn’t look fixed? If I have surgery, will they make all of me go to sleep or just part of me go to sleep? If I wasn’t asleep, would it hurt? Why? If I don’t have a valve now, why do I need one when I grow up? What if they weren’t able to fix the boo boo when I was little? If something happened to me, would you cry? Did I dream when I was asleep during the operation when I was a little baby? What did I dream about? What is blockage? What is leakage? Still, so lucky her condition was repairable. So very lucky to have a child who is alive and thriving and asking these questions. And still so very scared sometimes. I’ve been trying to turn back the clock. When my daughter was a toddler, fruit was dessert, yogurt was her snack, milk and water were her only drinks. Then we moved closer to the grandparents and started going on playdates and the junkfood crept in. I allowed one treat at such times because I certainly do not think that having a single piece of candy or chocolate on occasion is terrible. Chocolates on Valentine’s Day? Ice cream cones at the beach? Chips at a barbecue? Smores at a campfire? Gummy Worms at Halloween? Peeps on Easter? OK, that last one is still pretty gross but in general I am more than okay with the rare indulgence. Still, I had been mostly able to keep it out of our house. Until preschool. Every holiday seems to be an excuse to send my daughter home with bags and bags of candy–gifts from her fellow students. My daughter and I discuss that food should give you energy, help you stay healthy, provide you with what you need to grow, and taste good. We sit down together for most of our meals and make it a social experience. She loves berries and carrots and peas and many other things that are good for you. Of course, however, she also has a sweet tooth. And somehow we got into a pattern of a treat after every lunch and dinner. And she began asking for candy more and more. This morning we had a conversation about eating less candy and how it is okay to have a little sometimes but that we have to fill ourselves up with good fuel. This is a tough post for me to write but I just can’t let this week go by without a post about congenital heart conditions. I’ve been awed by the brave example Kristine has set for our community in honor of her beautiful heart baby Cora. In the face of her love I am speechless. If you know me, you understand how rare an occurrence that is. But I will force the words and face the fears. Because the stakes are the lives of precious little babies. My daughter was born with Tetralogy of Fallot but CHD does not define my vibrant little three year old. And as she grows, I am more reluctant to write about her. I want her to have the opportunity to create her own identity and decide for herself how much CHDs are a part of that. Others don’t have that luxury. They may require medications all their lives, they may not be able to be as active as other children, or there may not be a repair available or the condition may not have been caught in time. Heart defects are among the most common birth defects–approximately 40,000 babies (1-2%) in the United States are born each year with a heart defect–and they are the leading cause of defect-related infant death. And yet, there is comparatively little funding going into researching the causes of these defects and treatment options. Without surgery, depending on the exact pathology, tetralogy of fallot has a mortality of 30% of patients by age 2 years to 50% by age 6 years. Only 5% will live to age 20. 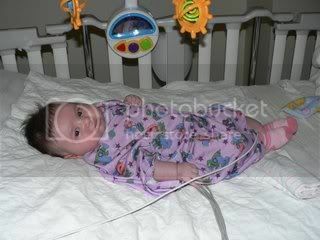 However, just one surgery with a very high success rate (95% success in the absence of complicating factors) and my daughter now has a good chance to live a normal life (well, as normal of a life as any child of mine could have with me as her mommy). And yet, every time I look into her bright, inquisitive eyes, I’m terrified. I’m frightened of the possibility of life without her. And I feel guilty when I think about all of the mothers who do not have that gift because they had to do something even harder–let their baby’s earthly presence go. I do my best to push those worries aside and focus on how very blessed I am to have my amazing little light in my life. So, not just for me and my little one, but for all of the parents and babies and adults living with CHD or feeling the absence of a precious life, I am asking you to educate yourselves about CHDs. We need more screening. A simple, non-invasive test, the pulse oximeter measures oxygen in the blood and can catch many of the most deadly CHDs. Every baby should be screened. We need public cord banking & donations. Private firms encourage parents to make an expensive investment in cord blood banking but most likely their baby will never need the cord blood and even if they do, it may not be usable or sufficient. But a public bank filled with donations would benefit the children who need it most. We need more research. Did you know that it may be possible in the future to grow a heart valve from a child’s own cells and then use a catheter to replace the valve, avoiding the potential complications of open heart surgery? New research could save thousands of lives every year and millions of dollars–but research into simple, cost-effective treatments is hard to fund when compared with pharmaceutical research. Tell everyone about CHDs and pulse oximeter screening. You might save a baby’s life. You can fan Cora’s Story, CHD Babies, or 1in100 on facebook and share with your friends. This is one of those cases where knowledge truly is power. Write to your senators and congressman about S. 621 and H.R. 1570. Donate to an organization like For Hearts and Souls, which gives a chance at life for children in impoverished communities. Basking in the joy of the birth of my new, giant baby boy, I wanted to stay positive. Still, I’d like to share my experience breastfeeding in the hospital in case it helps anyone. Part of the reason I chose our hospital is because it is more open to a more natural birthing experience than other hospitals in the area. And, although I think this is probably true, that is unfortunately a sad commentary. My baby and I are breastfeeding well and everyone is doing great–but I fear that if I had not already successfully breastfed my first or if I were less informed or less assertive, our breastfeeding would have been sabotaged. Immediately following birth, barring any urgent medical needs, my baby was supposed to be placed immediately on me. Since he was so large and stuck during part of the labor, they wanted pediatrics to check him out (which I fully understand–although I suspect this could have been done with him on me, as was done with my first child). However, after they verified he had not been harmed at all during the labor, they continued with the routine, non-urgent procedures. I kept telling them, “I want my baby! Give me my baby!” but they did not hand him over until they were done. Although in the grand scheme of it all, this is minor, I was sad that I missed that magical feeling I had with the first when she was exactly the same temperature as me and stepped her way to the breast. I told her was breastfeeding and it could wait. She replied that I was getting “crazy” with the breastfeeding (huh?). I stood my ground and responded calmly (really, I swear) that he had just finished one side and I was going to feed him on the other and then she could take as many measurements as she liked. She got very snotty and said that she was going to have to go tell the doctor that I was not allowing her to do her job. That says a lot right there about her perception of her role and the hospital’s role in birthing babies. Of course, she’s just one person, and my husband overheard some other nurses speaking of her in a negative way, but at the very least some retraining needs to be done. Following the repair, I was placed in temporary Operating Room Recovery until the epidural wore off (they had given me more medication during the repair). As they wheeled me in, I saw my husband. I called out, “Why aren’t you with our son?” Perhaps not the most pleasant greeting, but I was starting to lose a bit of trust in the hospital. “They want to give him a bottle,” he told me. “But I’m breastfeeding! Bring him to me! And I’ll feed him!” I was in full on mother bear mode and unfortunately they had sent my husband and there was no target for my protective rage. My poor husband kept going back and forth to tell me the baby’s blood sugar level and to try to negotiate with the doctors to allow my son to come to me. They first lied and told us he was under the warming lights (he wasn’t and he was perfectly healthy so there was no reason to hold him there) and then admitted they just “did not have the personnel” to bring him to me from the nursery. Now this is not a huge hospital. It takes two minutes to walk from the nursery to where I was. And post-op had no problem with me feeding him in recovery. The staff in the nursery was creating a situation where they would need to give him a bottle because they would not let me breastfeed. 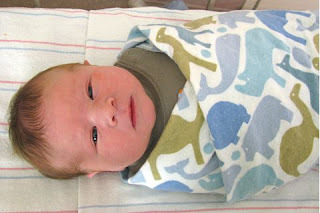 Finally, we were in maternity recovery and they brought me my son! With the delay, it took time and patience to get him to latch. Of course, as soon as he fed his blood sugar was fine and he was healthy and wonderful. But they had one more curve ball to throw at me–the next day they came without any notice to take him for his circumcision. They said I could not feed him even though he was due right then for another feeding. I was concerned, but they assured me it would just be an hour and then he’d be back. 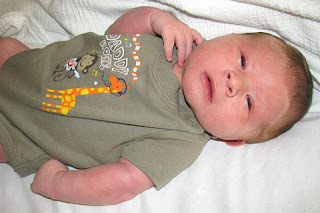 Three hours later…it was now six hours since my son had fed and the poor thing had just been circumcised. He was upset and had difficulty latching. Then they started harassing me because he had not urinated since the circumcision…again they wanted to give him formula. I told them to go away and leave us alone. Of course, once he fed a few times, he was fine. The kicker was that the day we were checking out, after all this was over, the lactation consultant comes by, sees me nursing, says “good latch,” quizzes me (how do you know if the baby is getting enough? ), and then leaves. Gee, that’s helpful. While I’m complaining, on a completely unrelated note, I got the demonically possessed hospital bed. The bed is for patients who cannot move and it automatically adjusts as you move. So when I shifted my weight in my sleep, the bed moved, waking me. If I lowered it so I could get out to use the bathroom, it raised. And of course it was noisy, too. As you can imagine, I could not wait to break out of that place! To add one last final insult, they insisted I be pushed out in a wheelchair by a staff member. I would have protested, but I just wanted to leave. I think if I have a third birth, I’m going to just make the absurdly long drive to the nearest birthing center or do it at home. All of this is not to say you cannot breastfeed if medical need requires your child to have a bottle early on, nor is it to criticize those who choose to formula feed–but just to show how hospital policies that are not always rooted in actual medical need, can create problems during the crucial early stage of breastfeeding. This is why we need to promote breastfeeding and support nursing mamas! Okay… end rant. Back to enjoying motherhood! This morning we had Diva the Toddler’s two year well-baby (a month late) and brought along her sidekick, Junior the Jotunn (aka Bruiser). After waiting for an hour or so to see the doctor, we found out that Diva is indeed EXTREMELY TALL (35.5 inches, 90th percentile) and SKINNY (36 lbs, 50th percentile) and generally a healthy little toddler. The doctor asked how many words she could say. The child can identify at least five different species of duck (Hooded Merganser, Teal, Buffalo Head, Mallard, and Red Breasted Merganser) and speaks in complete sentences. Seriously, I couldn’t even count the number of words she knows. For the first time, she had absolutely no problem at the doctor’s office, a step up from at least staying quiet long enough at the cardiologist. No more doctor phobia! We let her bring her duck and her pillow and her “bops.” The doctor asked if we were planning on ditching the paci soon. We only give it to her when she is sleeping or at the doctor’s…and I’m not ready to take it away at night yet. I am so happy she sleeps 11 hours straight, and now is not the time for me to have a few sleepless nights. So the paci at night stays for the meantime. Diva barely flinched during her shots, and so we gave her ice cream at home (and didn’t even have to bribe her in advance). Since we were already there, we asked if they could weigh Junior so he would not have to come back in two days and wait another hour just for a weigh-in. 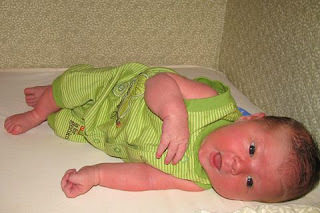 I was fairly confident he had gained weight and would be at least close to his birth weight. Earlier that morning I got on the scale and weighed a freakin’ ton 25 pounds less than my full pregnancy weight. Then, I picked up Junior and weighed still way too much ten and a half pounds more. At the office, Junior clocked in at 10 lbs 6 oz, two ounces over his birth weight at only eight days old! Not surprising since he’s been breastfeeding almost every waking moment. And, if his sister’s growth is any indication, I make some fatty breastmilk. 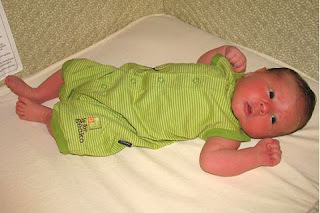 On August 31, 6:01 AM, Junior joined the world, weighing in at 10 lbs., 4 oz. and 22.5 inches. Trying to finish up some of my freelance contracts, I was ignoring what felt like some minor contractions. I asked Captain Dad to time them and he said they were less than 7 minutes apart. I told him that was not possible, because they were pretty weak. I kept working and then decided if it was not labor, I could always finish tomorrow and if it were labor, I ought to get some rest. By the time they arrived, I was sure I was in labor. And thinking this was going to be a long labor (my first was 24 hours), I was sure I was going to want more than my hypnobirthing tapes. If only I had known how quick this would be. My father in law drove my husband and I to the hospital so my husband could help me stay calm in the back seat. By the time we got to the hospital, around 1:30 AM, my contractions were 3 minutes apart and I was 4 cm dilated. I opted for the epidural so I could concentrate on the task ahead–we were concerned about the size of Junior and the possibility of shoulder dyslocia. I asked the midwife about her largest vaginal delivery and she said, “almost 10 lbs.” I told her this may be a new record for her. We tried pushing but I really wasn’t feeling it and he only moved a little bit. Even though I’d only been in active labor for a few hours, and she said I had “plenty of room,” she was concerned because he was stubbornly stuck behind a bone. I don’t really believe in “pushing” so hard–but I knew time was not on our side with this one. With his high weight, the compression was causing his scalp to swell up. What I did not realize at the time, is that he was also “sunny side up” (posterior) which was adding to the difficulty of delivering him. DH was a great coach, rubbing where I said to rub, even when I seemed to need help in five different spots at once, and echoing the midwife’s encouraging words but with more love, confidence, and conviction. After, I told him that it was almost comical–he clearly had no idea whether or not I was doing a “good job” but just wanted to say something that wouldn’t result in a look of undying contempt. The midwife called in pediatrics (due to his size and position, he was at risk for certain conditions) and an obstetrics doctor in case he did get stuck halfway out and more complicated maneuvers were necessary. After the birth, Captain Dad remarked that he could see why I prefer midwives. Seconds after she walked in the room, the doctor was whispering to the midwife (as if I was some insensate beast) about how soon they could prep me for c-section. We took a break and then I was ready to try to move him again. Just like last time, after some convincing that the epidural was wearing off, the midwife agreed to help me move into another position. Finally, I persuaded her to bring out the bar. She told me she was not willing to let this go on much longer and she’d give me one more good push. I told her “two more,” thinking that there was no way I was giving up yet but that I needed her on my side. She agreed, although I think she was pretty sure I would not even manage to get to the bar. I sat up and reached for the bar and got onto my legs. I started to move him out and I could feel him sliding out. The midwife shouted, “Oh, my God!” and I saw her lunge forward. Between the gravity and the change of position, he shot out like greased pig. And, after some brief checking, he was placed, huge and hungry, on me. There would be some sewing up of a fourth degree tear (I believe Catherine used the phrase, “tore his own exit” for her son’s precipitous descent but I could not locate the exact post), and some wrangling with various staff over the hospital’s not so breastfeeding friendly policies (but I’ll save that for another post)…but mostly there was us. Our family. Our new baby boy. Welcome to the world Junior the Jotunn, mommy’s little giant. Toddler Girl has offered to go get little brother out. I only wish it were that simple! I’m now 41 weeks, 2 days and Junior hasn’t budged. The midwives have already estimated he is large. Clearly he is. I can feel his head and his rear and he is definitely big. The question is, how big? And what, if anything, to do about it. The ultrasound today places his weight at 10 lbs. 12 oz. Unfortunately, there’s a huge margin of error there. In the back of my mind, though, is another number–8 oz. gained every week. Assuming the sonogram estimate is one pound too heavy, that’s still a large kid, who is getting larger every day. Because my midwife is associated with the hospital’s practice, she has to inform my of the “increased risk of shoulder dystocia” and “offer” me a scheduled c-section. Which, to a hypochondriac like me, is like chum in the water. I asked her a million and one questions, driving her to go consult with a doctor and, eventually, just photocopy reference pages for me to take home and read. I’m supposed to page her with our plan tomorrow. I also learn that Shoulder Dystocia is still rare, though a frightening and potentially extremely dangerous complication. i had a scan at 36 weeks which confirmed i was carrying at that time an 8lb baby. my first born was 9lb 5oz and my 2nd was 9lb 6oz. 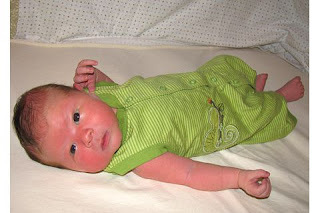 we were expecting a big baby however when i went into labour 12 days overdue, 9 hours later i gave birth to a healthy baby boy weighing 11lb 15oz… All absolutely natural, no stitches. healed absolutely perfectly and was up and about straight after delivery. And then I found the “miraculous birth” story of this great big baby via Enjoy Birth. Right now, after pouring through online medical journals, we’re not planning on doing anything until at least 42 weeks. I’m hoping I go into labor before then, and things progress well. I’m considering a private hypnobirthing session, too, to bolster my confidence–I did this when Baby #1 was discovered to be transverse. She turned in time for the birth…I’m not saying there is causation there, but it can’t hurt, right? Theoretically, I could go into labor right now and the baby could theoretically be born in under eight hours. But right now, it looks like Junior is going to be a Virgo. Diva the Kid is a Leo, as are my granny and mother in law. I generally do well with Leos. One of your primary concerns in life is harmony in your relationships, but your Virgo child is more interested in attaining perfection. Not nearly as gregarious and people-oriented as you are, he’s most comfortable when surrounded by quiet, order, and routine, so it’s best to establish a daily schedule for his meals and bedtime. This could be difficult for you, since you aren’t as practical as your little Virgo. Efficiency matters less to you than friendliness and positive feelings. Still, your love of peace and your little Virgo’s need for order can dovetail nicely. Your child appreciates that you keep a pleasant, comfortable home. You, in turn, like the way he keeps his toys organized and, as he gets older, how he completes his chores in a timely manner. It should be easy for you and your child to get along and create a cozy home together. Here’s a post I never thought I would be writing–I’ll be 39 weeks on Wednesday and baby boy still hasn’t shown. Every time I pick up a bag without warning, my little girl thinks I am “going to work to bring baby brother out.” According to her, little steps are going to drop down and he is going to walk out. Diva the kid is very eager to meet her little brother. She draws portraits of him, having recently mastered the art of drawing an oval and placing “two eyes, nose, mouth, and HAIR (scribbled most enthusiastically)” in more or less the correct spots. Everything she associates with being a big girl has become tied in with brother’s arrival. According to her, she will sleep in her own bed and give him the crib, give him all her “bops” (pacifiers), and start using the potty. Somehow I think this transformation will take a bit longer, but who am I to disagree? She gave me a somewhat indulgent look and responded, “At least!” in a way that implied he was most likely a bit over. Of course, none of this is reliable measurement, but I won’t be surprised if he’s over 9 lbs at this point. We’re all ready to go now. Granny’s been staying for a week to watch the toddler, I’ve been clearing my work schedule, and Daddy’s been on alert–cell phone on at all times. We’re all ready, except the guest of honor.